This is a great home for family gatherings. The floor plan is very spacious and wide open. The living room features a 65" HDTV ..This beautiful home features 5 beds..... Bedroom 1 has a King size bed, Bedroom 2 has a Queen Size bed, Bedroom 3 has a King size bed and bedroom 4 has 2 Queen size beds. All bedroom are equipped with ceiling fans, cable tv and luxury linens. The master bath has a jetted tub and separate shower. The kitchen is fully equipped with everything you will need. 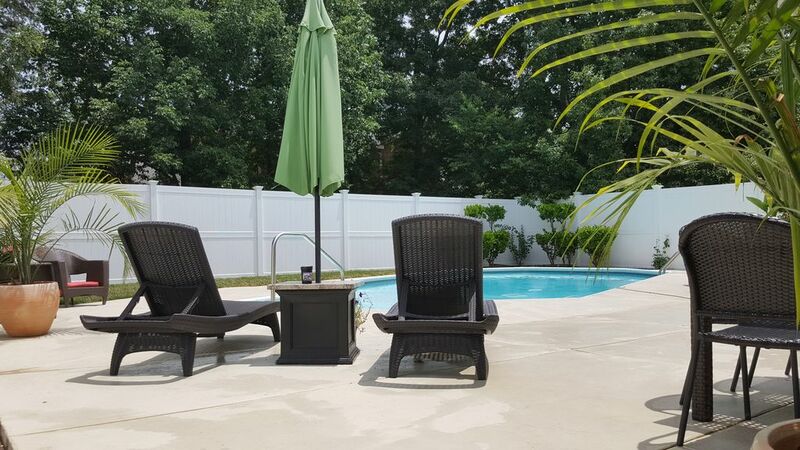 Out back you will find a beautiful in ground pool with a large patio area for outdoor entertaining. This home is located within 12 miles of downtown Nashville and within a 15 mile radius of all attractions. Great home to come back to and unwind after a long outing. This is a great house just outside of Nashville. Would definitely stay again. Thank you so much for the review...come on back anytime 😁 thank you for choosing our home to make you Christmas memories !! Beautiful house with plenty of space and well stocked. We enjoyed our stay. Maureen's house made our trip comfortable and feel like a home away from home. We had 3 generations of family come together for a college graduation and the space allowed for comfortable meal prep, family game nights, and perfectly setup sleeping arrangements. The house was really laid out well very for 10 people. We enjoyed the house and it was just close enough to Nashville but not in the city limits. The large dining table was great for all 10 of us to sit around at one time. The open area was very warming. Wonderful house! We had a fabulous time! This house was perfect for our girls’ getaway! Maureen was great to work with and the house was amazing! Located in a quiet neighborhood close to nice recreation area.